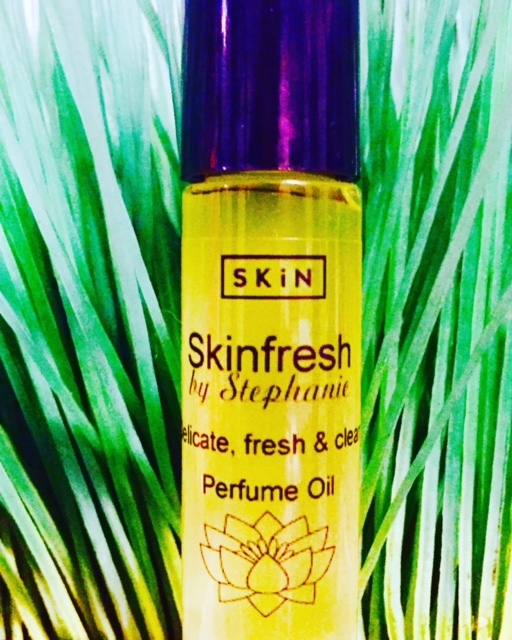 Enjoy this clean, fresh, and delicate perfume oil. Notes of citrus, pear, and florals. Light, and easy to wear, roll on applicator that you can throw in your purse, or leave in your car for quick pick me ups! Experience intense hydration while helping to repair sun damaged skin and slow down further aging! Moroccan argan oil is known for its oil balancing properties making this cream excellent for any skin type, especially combination skin. Features blue green algae, which contain a full spectrum of minerals, chlorophyll, B Vitamins, Beta-Carotene, Pro Vitamin A, Lipids, active enzymes, essential amino acids, nucleic acids, DHA and EPA fatty acids, to help the skin store moisture and improve elasticity. Green tea extract, well known for its antioxidant properties, neutralizes the spread of free radicals (your skin’s worst enemy in the aging process!). Green tea has 20 times the antioxidant properties of Vitamin E and helps with inflammation and irritation making it perfect for rosacea sufferers. Use during the day when you need extra moisture or at night to help repair your skin while you rest. Ingredients – Jojoba oil*, argan oil*, shea butter*, mango butter, distilled water, blue/green algae*, green tea*, aloe vera*, vegetable glycerin*, vitamin E oil, vegetable wax, grapefruit seed oil, sweet orange essential oil*. Good for your skin, naturally. 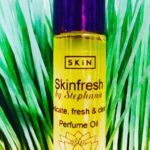 Naked skin has the same healing ingredients that other Skin lotions have, but fragrance free. It’s light and gentle enough to use for face and body. This body lotion strips down to only the essential ingredients your skin craves. Use daily, all-over to naturally refresh normal to dry skin. 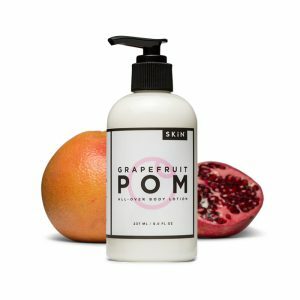 Ingredients – Jojoba oil*, apricot kernel oil*, cocoa butter*, distilled water, vegetable based glycerin*, vegetable based emulsifying wax, vitamin E oil, grapefruit seed extract. An ooodle? Isn’t that a little excessive? We don’t think so. 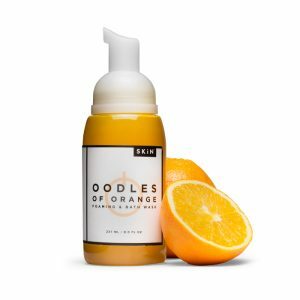 We gathered the exact amount of citrus you need for a refreshing, natural cleansing hand and body wash. Ingredients – Saponified coconut oil*, olive oil*, jojoba oil*, aloe vera*, plum kernel oil*, distilled water, orange hydrosol*, rosemary extract*, sweet orange essential oil*, valencia essential oil. Who doesn’t love a refreshing and totally soothing foot massage? 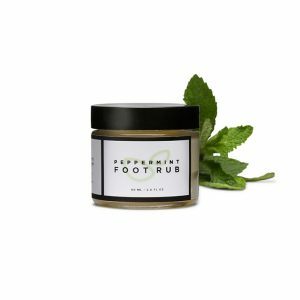 This peppermint foot rub contains cocoa and shea butter to soften dry heels and rough skin, while peppermint invigorates tired tootsies. The jojoba and sweet almond oils protect and heal while the beeswax gives the rub a perfect consistency for massage. Warm a small amount in your hands and massage into your feet or have someone do it for you, Mmmmmm, nice! Ingredients – almond oil*, jojoba oil*, cocoa butter*, shea butter*, beeswax, vitamin E, peppermint essential oil. 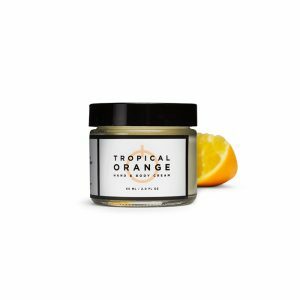 Citrus works it’s nourishing and healing power in this dual purpose natural hand and body cream. Use all over for healthy, glowing skin. When you want the luxuriousness of a cream, without the greasy feel, Skin’s Tropical Orange hand cream is the one for you. Filled with several healing oils, but with a light feel to give you silky smooth skin. Mango butter helps to heal, protect, and soften the skin with a delicious orange scent. 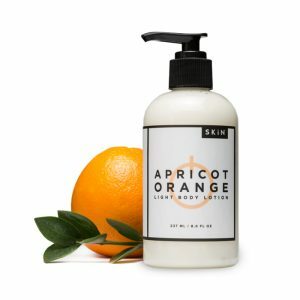 Ingredients – Mango butter*, cocoa butter*, coconut oil*, sweet almond oil, water, vegetable emulsifying wax, vitamin E oil, vegetable glycerin*, orange essential oil*, grapefruit seed extract.